Designation: Professor and Head, Dept. of Neurophysiology. 1. To contribute towards the perspectives of the cognitive reserve capacities of the brain. Keywords : Consciousness, Brain plasticity, Schizophrenia, Spinocerebellar ataxia, Sleep architecture, Lucid dreaming, Meditation, Cognitive reserve, Cognition, Emotion regulation, Spatial learning, Subiculum, Photoperiod, Memory, tACS, Functional connectivity, Sleep ERPs, Entropy measures, ANGEL. states of consciousness in various meditative practices. functions using a novel method of ERP acquisition (ANGEL) and analysis. We evaluate various aspects of cognition-emotion interactions. 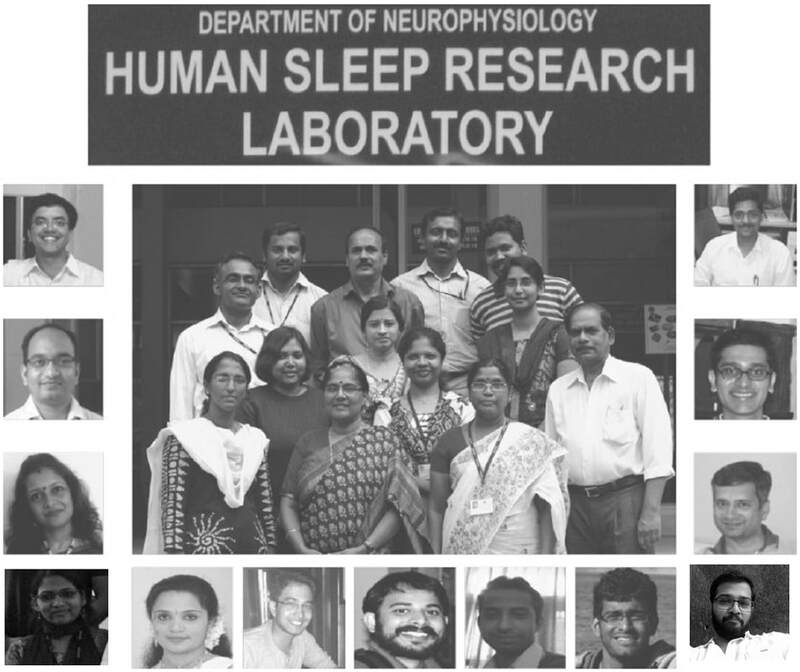 Neurophysiology of sleep, Dream physiology. Integrating macro & micro sleep architecture parameters to quantify sleep efficiency, sleep depth/quality. Validating novel intervention strategies in sleep. Thalamocortical dysfunctions including reduced sleep spindle dynamics in Schizophrenia subjects. ​ general anxiety disorder patients. Role of subiculum in spatial learning and memory functions. Understanding neurobiology of schizophrenia using appropriate animal models. Explore and validate the importance of photoperiod manipulation for the management of neuropsychiatric conditions and cognition.